A view of Honolulu from the ship. After almost two years in the South Pacific (we arrived on June 11, 2015) we're sad to say goodbye but feel confident we had a thorough sample of what this part of the world has to offer. When we walked along the shore in Kona after our visit to the town. 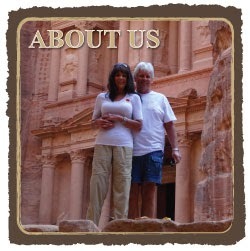 When we look in detail at our travel map on the right side of the page under the photo of us in Petra, Jordan, you'll see the words "Map our Travels." Below that, click on "Travel Map" on the line reading, "View Full-Size Travel Map at Travellerspoint." Passengers o the beach in Vanuatu. Upon doing opening the link a full-size map will show everywhere we've traveled since the onset of our travels beginning in 2012. We're amazed when we review this map, which Tom keeps up-to-date as we move from location to location. View of Kona-Kailua from the ship. In reviewing the map it's evident we still have a lot of worlds left to explore including China, India, South America (soon) and Antartica (in eight months). In a week from today, we'll begin the cruise to Alaska which we'll be adding to the map upon the completion of our foray into this exciting part of the world. View of our ship, Royal Caribbean Explorer of the Seas, from Lahaina, Maui. There's no doubt the timing was right to head out of the South Pacific to journey to these many other parts of the world. The continent of Australia is so huge one could conceivably spend a lifetime exploring it's outback, cities and rural areas in between. Mountain view from Lahaina on a cloudy day. In the South Pacific there are many islands that peaked our interests but after lengthy stays on several islands, we were ready to move on. Although, tropical island living will always remain of great interest for its pleasing lifestyle in our way of living in the world. Ships in the harbor in Honolulu. At this point, we don't anticipate returning to the South Pacific but one never knows. Tom favorite place to date, Penguin, Australia may someday result in our return for an extended visit. I loved it as well but areas rich and abundant in wildlife will always remain at the top of my "favorites" list. Inside the courtyard at a shopping center in Lahaina. In a mere nine months, my passion will once again be fulfilled. From there we'll seek to book the above-mentioned areas/countries we've yet to explore. No, it's not a marathon to see the world. Shopping area in Kona during a port of call stop a few days ago. Instead, it's a leisurely walk, predicted by good health and well-being. To this point, there's never been a lack of interest or lack of desire to continue on regardless of stumbles along the way. Life is good, actually great, and the passion continues...Continue along with us! This photo was taken from the second-floor veranda of high tide in Bali. For more details, please click here.